Sterlite Power is seeking an investment of nearly $10 billion over the next three-four years for the expansion of its business in both domestic markets as well as overseas. The company had acquired the 28.4 per cent stake that Standard Chartered Private Equity (SCPE) held in its transmission business for Rs 1,010 crore, thus owning 100 per cent stake. With the fourth generation of Logo!Power, Siemens has extended its power supply portfolio to include two additional power supply devices as well as additional functionalities and new scope for application. 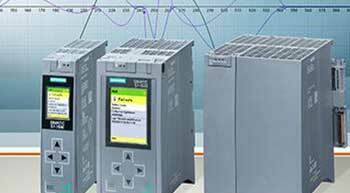 The new firmware 2.1 for the Simatic S7-1500 Advanced Controller from Siemens now allows the user to use the new functions of the Engineering Framework TIA Portal V14 SP1. These include openness to other systems, such as the standardized, bi-directional exchange of engineering data via AutomationML (Automation Markup Language) with Eplan engineering software, the TIA Selection Tool or other CAE (Computer Aided Engineering) tools. 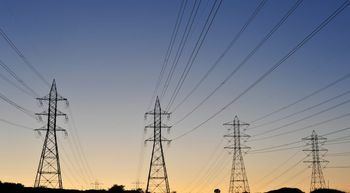 Sterlite Power Transmission Limited has achieved financial closure for its transmission project that will increase electricity supply to residential, commercial and industrial establishments in parts of Haryana. The transmission project will increase power supply by 2,000-3,000 MW to the energy starved region and strengthen the transmission network. Sterlite Power Transmission Limited has achieved financial closure for its transmission project in parts of Haryana. The project will increase power supply by 2,000-3,000 MW to the energy starved region and strengthen the transmission network. Azure Power has commissioned a 150 MW solar power plant in Punjab - the largest such project in north India spread across 713 acres, according to an official statement. Azure Power announced the successful installation and operation of its rooftop solar power plant for Delhi Metro Rail Corporation (DMRC) at the Sultanpur facility. This is the first phase of a 14 MW allocation by DMRC to Azure Power, one of the largest by DMRC to a solar power developer.